The Low-Down: When Is a $1 Million Painting a Bargain? When Is a $1 Million Painting a Bargain? The markets for deceased artists can oscillate wildly. They depend on trends in art collecting, changing tastes, and the influence of foundations or galleries. But trends and taste are fickle, galleries can fail, and foundations are only as effective as whoever is managing them. The staying power of an artist’s prices, particularly when that artist is dead, is often best predicted by looking at inefficiencies in his or her market. “The market really favors red. The [red] always have higher prices. Next in line are yellow." The markets for deceased artists can oscillate wildly. They depend on trends in art collecting, changing tastes, and the influence of foundations or galleries. But trends and taste are fickle, galleries can fail, and foundations are only as effective as whoever is managing them. A savvy collector, then, might be wary about buying into a market that is described as ascendant. No one wants to buy at the top. But how, then, do you account for the vast, much-hyped trove work of Josef Albers, a modernist painter who died almost 40 years ago? There are two reliable barometers to gauge the popularity of a dead artist’s work: museum shows and auction results. Starting in May 2016, the market for Albers got both. That was when mega gallery David Zwirner announced it was representing the estate of Albers, who died in 1976, as well as his wife Anni, also a noted artist who died in 1994. 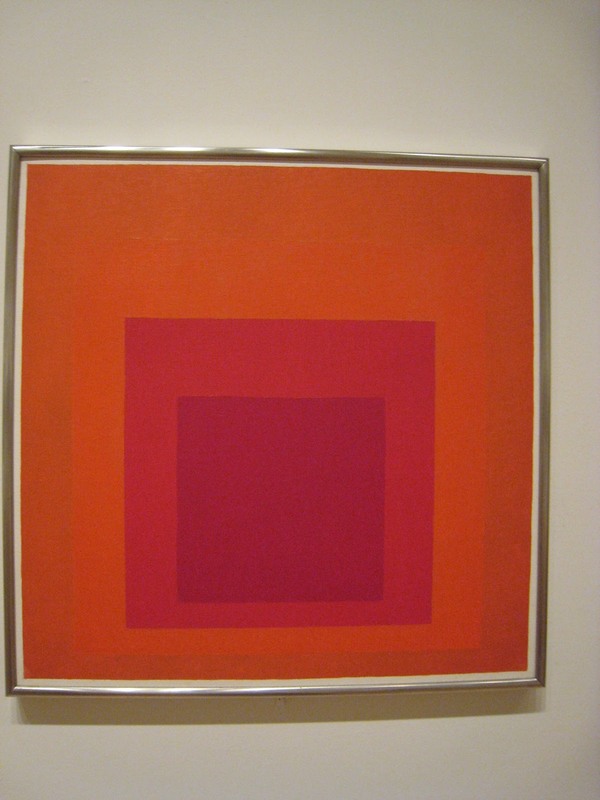 Around the same time, MoMA in New York and the Yale University Art Museum announced upcoming shows of Albers’ work. Meanwhile, the exhibition Josef Albers in Mexico opened at the Guggenheim on Nov. 3. Several auction records soon followed, including one in which a painting, Red Wall, bought a year earlier for $400,000, sold for $800,000 at Sotheby’s in New York. Albers, in other words, was having a moment. But this season’s museum shows and last season’s auction results aren’t enough to justify (for most people, at least), spending more than a million dollars on a square piece of canvas. Most people would need to feel secure that Albers’ market can be, and will be, sustained. The staying power of an artist’s prices, particularly when that artist is dead, is often best predicted by looking at inefficiencies in his or her market. It’s within these inefficiencies that savvy collectors can find room for growth and, by extension, market longevity. Buyers don’t have to worry that they are “buying at the top” if there is another peak that can be reached—whether in the form of an under-appreciated series, time period, or medium by the artist that everyone, until now, has overlooked. For Albers’ market, a case can be made that inefficiency lies in the valuation structure of his most famous body of work—his 26 year-long project, “Homage to the Square,” a series of squares painted within slightly different-colored, or contrasting, squares. on the Albers estate. “The market favors size and color.” In total, there are more than 3,000 unique paintings by Albers in existence, according to his foundation; roughly two-thirds of those, Leiber says, are works from the Homage series. The series comes in a range of sizes, which run from 16 inches by 16 inches to 48 inches by 48 inches. They come in a range of color palettes, but the most prominent are red, orange, yellow, green, and blue. In general, the larger paintings are more expensive. For some reason, red is the most sought-after color. “The market really favors red above everything else,” says Emily Kaplan, a specialist at Sotheby’s and head of its biannual “Contemporary Curated” sale. “Even the smaller [red] homages always have the higher prices.” Next in line are the yellow paintings, followed by oranges. “Colors that are sort of sunny and happy,” she explains. It may seem random. (Or not—lots of people like red.) But plenty of artists’ works vary in market value, based on such mundane attributes as color, size, and material. The absence of chronology in Albers’ market is notable, given that his career trajectory was so remarkable. Born in Bottrop, Germany, in 1888, Albers became a teacher in 1922 at the famous Bauhaus school of design. When he emigrated to the U.S. in 1933, he obtained teaching jobs, first at Black Mountain College in North Carolina, where he taught such artists as Robert Rauschenberg, and then at Yale, where he directed the university’s design department. 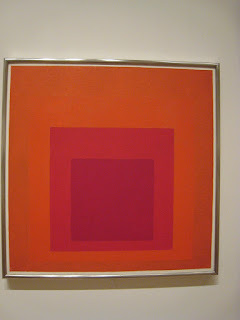 All the while, Albers made art. His first exhibition came as early as 1919, and his star kept rising after he moved to the U.S. In 1964, the Museum of Modern Art organized a solo exhibition of his work, which traveled to 22 exhibition spaces around the globe. Despite his prestigious teaching jobs, famous pupils, and relatively robust primary market, Albers was never a star. “When we started to represent him, he wasn’t such a household name,” says David Cleaton-Roberts, a director at the Alan Cristea Gallery in London, which began with Albers’ prints and multiples market 18 years ago. (David Zwirner represents Alber’s unique artworks; Alan Cristea represents the less-expensive reproductions.) “He was known among people in the art world and among collectors of hard-edged abstraction—among them, he’s kind of a legendary figure,” Cleaton-Roberts continues. Several factors have since conspired to raise Albers’ profile. A series of critically lauded museum shows included “Josef Albers” at the Centre Pompidou in Paris in 2002 and “Albers and Moholy-Nagy: From the Bauhaus to the New World” at the Tate Modern in 2006. And as blue chip dealers started to look as far afield as Japan, Italy, and Cuba for mid-century modernists, Albers was hiding in plain sight back in the U.S. “Serious collectors began to look at artists like Donald Judd, Fred Sandback, and Sol Lewitt and realized that all these artists lead back to Josef Albers,” says Cleaton-Roberts. As this swell of Albers appreciation took place, his prices began to creep, then accelerate upward. “I think where we’ve seen the biggest segment of change is the market between $100,000 and $600,000,” says Kaplan, the Sotheby’s specialist. Works sized 16 inches by 16 inches or 24 inches by 24 inches,” she says, were typically estimated to fetch from $100,000 to $250,000 and now sell for more than $600,000. These are rarefied prices. Yet, in comparison with Albers’ peers, they’re relatively modest. Works by fellow Bauhaus artist Wassily Kandinsky have crested the $20 million mark, while other Black Mountain College alumni such as Willem de Kooning and Robert Motherwell can sell for twice that amount. “There’s a trend right now for reevaluating blue chip artists that are sub-$1 million,” says Kaplan. “So many of them are at atmospheric price levels that people are looking for artists who are brand names but relatively affordable.” “Relatively” is the operative term here: It’s not about how much Albers’ art costs. It’s about what it could cost in the future.